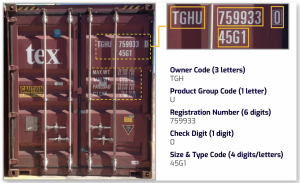 Automatically recognizes and decodes international shipping container codes, speeding up the security and overall throughput to process cargo tracking at busy border crossings, railways, air and sea ports. ISCD automatically reads ISO container codes via its integrated 3-megapixel camera with inbuilt white illuminator, two additional powerful white illuminators and OCR software. ISCD is designed for deployment at railways, border crossings, sea and air ports. ISCD offers a major advantage over other similar technologies through the system’s ability to automatically recognize any vertically and/or horizontally aligned ISO 6346/MOCO, and dimension codes. The system’s environmental structure allows for 24/7 operation. Gatekeeper’s ISCD is fast, easy and straightforward to use, deploying multiple images that have completed a proprietary computer vision process to ensure only the highest quality images are presented to the ISCD’s OCR engine. This proprietary process ensures very high recognition accuracy. The use of the Intelligent Shipping Container Detection (ISCD) system can dramatically improve operations in a range of industries. Using ISCD can create a paperless workflow, avoid errors with the manual process of recording codes, save a man-hours, and improve code recording accuracy.